HOW much would you pay for a piece of Winx's poo? 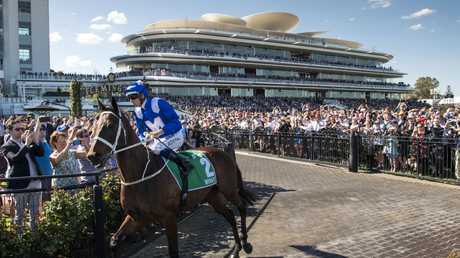 As Chris Waller's mighty mare prepares to shoot for an unprecedented fourth Cox Plate win at The Valley on Saturday. one seller on eBay has sidestepped the signed lithographs or framed silks, hats and stubbie holders to offer a rare 'piece' of the great mare. 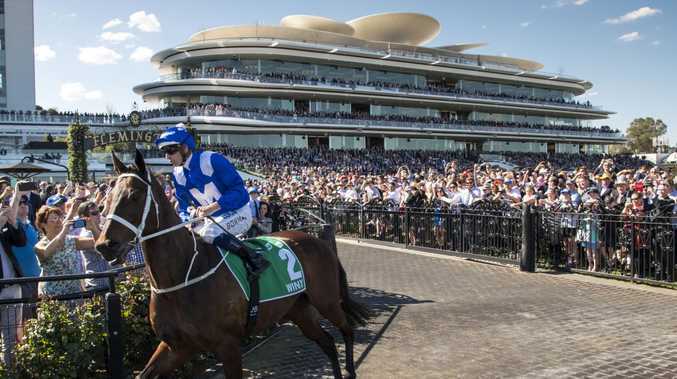 The seller 'andyman12' says the excrement was "picked up at Flemington race course" prior to Winx running in the Group 1 Turnbull Stakes on October 6. "It was picked up in a zip lock bag and was never handled by human hands," the seller's description reads. "It has been refridgerated since and weighs appox 300 grams." So far the item has received one bid of $200. 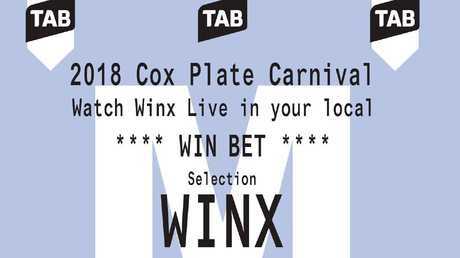 The TAB is offering a much more suitable keepsake for punters with limited addition Winx tixkets available at participating TAB/UBET venues to celebrate Winx's historic bid for a fourth Cox Plate. TAB and Racing Victoria have partnered together to deliver the promotion throughout Victorian TABs and participating venues in NSW and Queensland to celebrate the three states that Winx has been successful in during her 28-race winning streak. The tickets feature the famous blue and white colours of Winx's silks and also contain images of her previous Cox Plate victories, including a famous commentary call from each on the back of the ticket. The superstar mare is $1.22 with TAB to win on Saturday in what shapes as one of the most memorable Cox Plates of all time. "For those that aren't lucky enough to have a ticket to the Valley on Saturday, what better place to watch history live than at the local TAB," TAB's Nick Quinn said. "As we approach the concluding stages in what could be described as the greatest racing career of all time, this gives punters a chance to obtain some special memorabilia to keep forever."